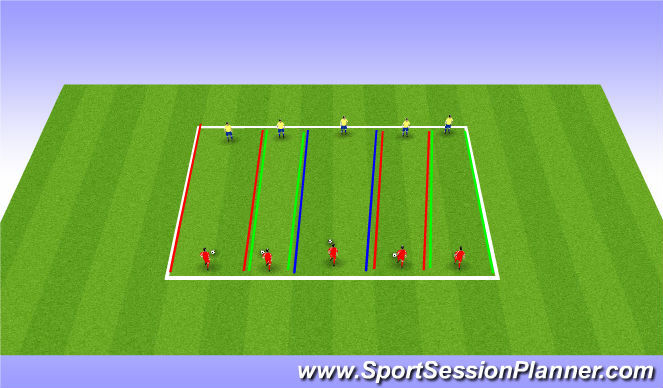 Football/Soccer Session (Beginner): Defending with progressions. Red player starts with ball and tries to get to line behind yellow player. Channels vary in width to make it easier or more difficult. Defender needs to stand up and not dive in or turn back.